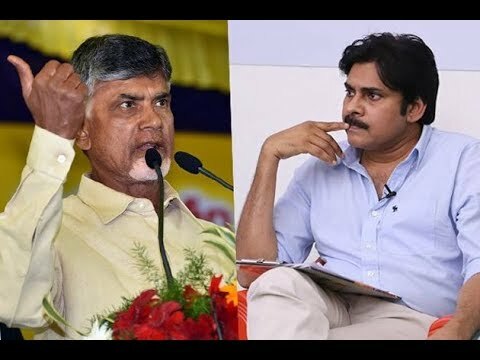 Why Pawan Kalyan didn't see Chandrababu Naidu meeting at same venue? Sri Ramachandra Murthy June 23, 2018 12:00 IST Why Pawan Kalyan didn't see Chandrababu Naidu meeting at same venue? Andhra Pradesh sources have made a statement that Pawan aligned with Nara Chandrababu Naidu's TDP ahead of the 2014 general elections. He aggressively campaigned for the TDP-BJP combine and maintained his friendship with Babu till last year, after which he began targeting the AP CM on various issues through tweets and public speeches. The animosity between Pawan and Chandrababu has turned so worse that they both are not even Seeing Eye to eye. This morning, Pawan and Babu performed Maha Kumbhabhishekam at the same time at the Venkateswara Swamy Dasavatharam temple in Namburu, Guntur. However, neither Pawan nor Babu took the initiative to greet each other even though being at the same venue. According to the reports both the leaders were standing just a couple of feet away from each other throughout the prayers, but didn't see eye to eye.